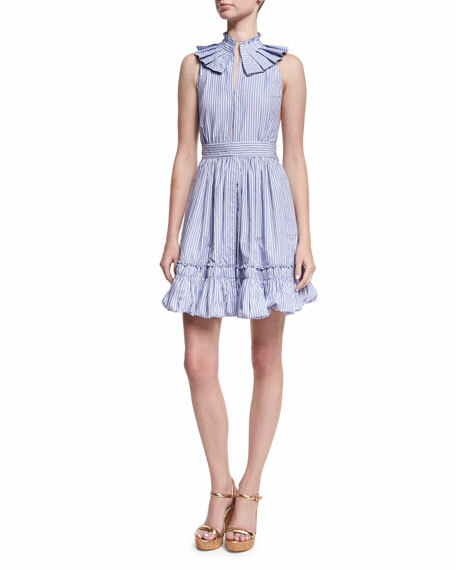 Alexis "Briley" poplin mini dress with gathering and ruffled trim. Stand halter collar; split neckline. 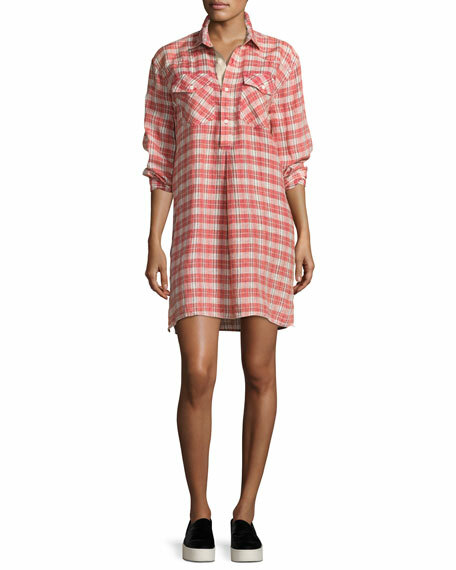 For in-store inquiries, use sku #2136339. 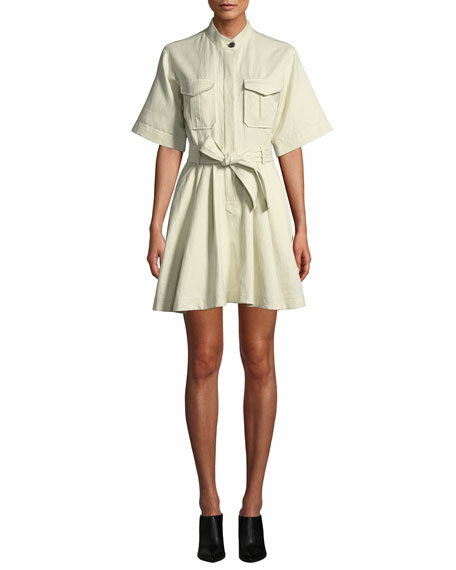 Caroline Constas "Anya" striped dress in silk. Crew neckline. Long flared sleeves. Self-tie belt. A-line silhouette. Keyhole back. Mini length. Slipover style. Made in USA.